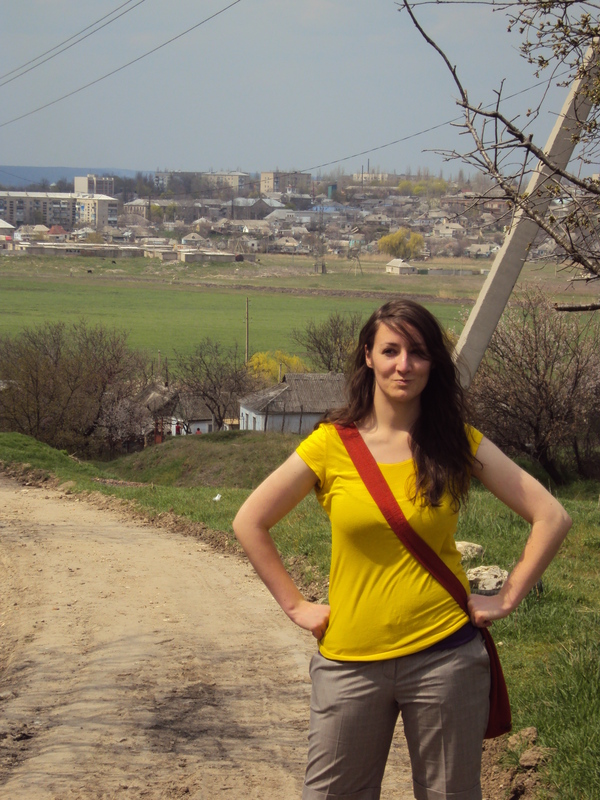 Katie Collins (BS10) shares her experience in the Peace Corps as an English teacher in Ukraine. Check out Katie’s second blog below and watch out for more Global GOLD posts. Given any thought to joining the Peace Corps since my last post? If so, there are two big obstacles you’ll face before becoming an official volunteer. First, you’ll tackle the application. If you’re even kind of considering joining, I highly recommend you start the application process as soon as possible. For many people, it will take about a year from starting an application to actually leaving, so if you’re considering it, apply! It’s free and you can withdraw at any time with no penalty, so why not have it as an option? There are a few key steps in the application process and, as bureaucracies go, they each come with a ton of paperwork. First, you’ll need to fill the thing out. You’ll need three letters of recommendation from various people: one from a close friend, one from an employer and one who can comment on your volunteer work. And speaking of volunteer work, start volunteering! You don’t often have a whole lot of control over where Peace Corps assigns you, but say, you really want to work on HIV/AIDS education or you really want to be a teacher, then start volunteering in that field now. You’ll more than likely be placed in a position similar to previous experience. Ok, so now you’ve finished your application. Step one down, and about seven more to go. Your next step will be an actual interview, either in person or over the phone, depending on how close you are to the nearest recruiting office. The interview questions are pretty standard. I recommend you do a few Google searches for tips and questions you can expect. After the interview your recruiter will decide if he or she wants to nominate you. A nomination is a huge step. As long as you can get through the waiting after this, you’re more or less in. When you’re nominated they’ll give you a tentative placement. You’ll know the region you’re going to and what you’ll be doing, but be warned, this can change. From there it’s a big paperwork and waiting game. You’ll have an extensive medical review and get lots of shots so they know they’re sending you over healthy. Once you pass your medical clearance you’ll get an official invitation. Your invitation will tell you exactly where you’re going, what you’ll be doing and when you’re leaving. I received my invitation about 10 months after applying, so again, be prepared to wait. Now you’ve received your invitation and you’re ready to pack up your life for the next two years. What next? Before you officially become a Peace Corps Volunteer you’re a Peace Corps Trainee. You’ll fly to your new country and begin what I assure you will be the most intense three months of your life. As a trainee, you’ll spend virtually all day every day between language classes, cross cultural training, technical training. You’ll probably do some kind of hands on internship and, if you’re lucky, you’ll live with a host family who will cheer you on as you embarrass and humble yourself on a daily basis with your budding language skills. It may sound rough, and believe me, at times it is, but the experience of training is something you’ll never get anywhere else. I totally recommend it. Three months of training will fly by and finally, after a year or more of waiting, you will officially be sworn in as a Peace Corps Volunteer. Congratulations. You have just been given the opportunity to foster sustainable change and development in an entire community. It’s not always easy, it’s certainly not always fun, but the good days outweigh the bad ones and make everything worthwhile. The contents of this blog are mine personally and do not reflect any position or opinions of the United States Government or the Peace Corps. For more on Katie, read her blog. What are Global GOLD stories? Raw, adventurous, and timely. They are related to the ways our alumni (and students connected to the Alumni Association) make an impact related to global social, cultural, political and environmental causes and concerns. The views presented are representative of the author only and not the Office for Alumni Relations. 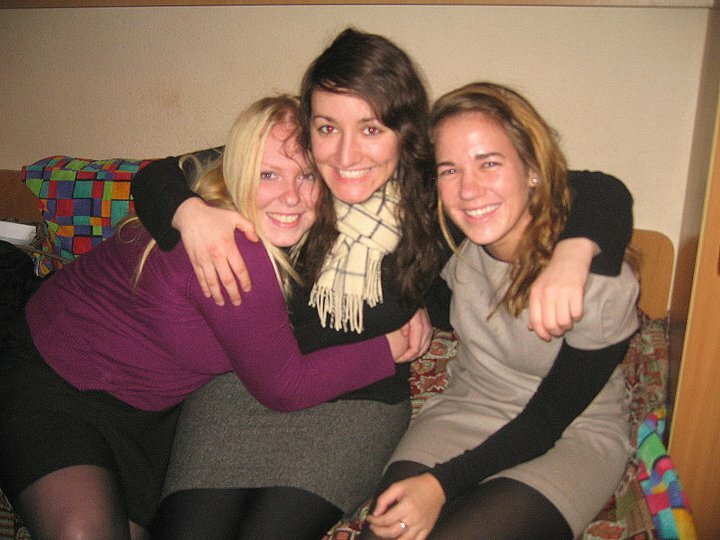 Katie Collins (BS10) shares her experience in the Peace Corps as an English teacher in Ukraine. Check out Katie’s first blog below and watch out for more Global GOLD posts. Looking for a complete 180 in your life? Do you like volunteering? Have you ever wanted to learn a new language? Are you ready to move to a new country for over two years? Do you like being challenged? If you answered yes to any of these questions, you may want to consider applying to the Peace Corps! I took a very atypical route after graduation. I didn’t seek employment, didn’t think about making money and didn’t apply to grad school. Instead, I put all my eggs in one basket and applied to the Peace Corps. Turns out my gamble paid off. I’ve been serving as a Peace Corps Volunteer in Ukraine for over a year now. I work full-time as an English teacher at a K-12 school, I speak Russian (albeit poorly) and in my free time I play soccer with my students and farm potatoes with my Ukrainian friends. I first heard about Peace Corps from my older sister. In high school I remember her telling everyone she was going to join one day and it sounded like a good idea to me! Two years of living in a different country – where could I sign up? Once I hit college my Peace Corps ambitions became more focused. After about a million times of changing my major (accounting, to biology, to international trade, to…) I finally found the perfect, and then brand new, International Affairs Program. What better way to utilize this degree than by gaining practical volunteer experience abroad? Excellent career move much? I have to admit, my initial desires to serve were a bit superficial and focused exclusively on how much I could benefit from the experience. Two years of loan deferment and time to figure out my next move, the guarantee of learning a new language, the fact that it would look great on grad school applications. The list goes on. I had a complete paradigm shift, however, during the summer after my junior year, when I had the distinct pleasure of participating in EMU’s summer study abroad program in El Salvador. There, alongside some of EMU’s finest faculty members, we studied poverty, health and human rights up close and personal. After the program, I ventured on a bus to Guatemala and spent the rest of the summer studying Spanish and building stoves in rural villages. As soon as I got back to the States, I started my Peace Corps application. And this time, I wasn’t thinking about the money they would pay me after completion, and I wasn’t thinking about the non-competitive status I’d get with the government when I finished. Nope, now I just wanted to join and have the opportunity to help foster sustainable development in a foreign country. I wanted to see to what extent I could be an agent of change in a developing country and what I could learn from living as an isolated American in a foreign culture. Peace Corps is more than just a job. Volunteers serve in countries all over the world under varying degrees of hardship and do a million and one diffe rent jobs in their communities. We are on duty 24/7, we make the bare minimum to get by and half the time the expectations placed on us are totally unclear. That being said, I absolutely love what I’m doing here. It’s as much challenging and frustrating as it is rewarding and fulfilling and if I could go back I’d do it all again. Looking for employment? Check out the Michigan Collegiate Job Fair. After a small hiatus (a.k.a. a full week of Homecoming activities), GOLD Professional Profiles are back. Our tenth profile highlights Lindsay Malone. She shares experience in marketing and public relations. 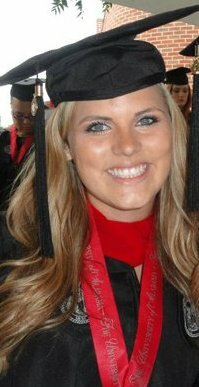 And, she is a graduate of both Eastern Michigan University and the University of Alabama. Your fun EMU fact: Although I tried to be an exemplary student, I was once kicked out of a class for playing hangman during class. Tell us about yourself and your career. What is your greatest achievement so far? I graduated with a BBA in Marketing from Eastern Michigan University in 2008, after graduation I faced a tough job market and accepted a manager position with Family Video. After spending two years with Family Video, I realized it was time for me to go back to school. Earlier this year I graduated with an MA in Advertising and Public Relations from the PR Weekly top-ranked program at The University of Alabama. I was ecstatic when just weeks before graduation I landed a great job with an incredible company doing what I love! My current responsibilities as Marketing Events Coordinator at Assurance Agency, Ltd. include supporting the marketing team’s strategic marketing, communication and branding efforts, developing continuing education programs for Assurance University, and creating top-notch events for clients, employees and markets. I take pride in being a member of the Assurance team and enjoy contributing to the imaginative and innovative company culture that makes Assurance one of “Chicago’s 101 Best and Brightest Companies to Work For”. Among my personal achievements and accolades, I was a finalist in the 2011 Arthur W. Page Society’s national case study competition and the in-depth case study I prepared was published by Routledge in a Business Ethics textbook. I was privileged to gain unique experience in communications as Public Affairs Intern with The American Red Cross assisting in crisis communications efforts following the April 27, 2011 tornado in Tuscaloosa, Alabama. Share three career-related lessons you have learned after graduation from EMU. Know what you are looking for. Coming out of undergrad, I knew I wanted a career in marketing. With so many options out there, I had no idea what I wanted to do or what I was qualified for. Should I go agency or corporate? Creative or account management? Michigan or elsewhere? I had no idea and so I applied for anything I could find that listed a BBA in Marketing as a prerequisite. I wasted a lot of time in a search that was yielding minimal results. In my most recent job search, I knew exactly what I was looking for and exactly what I was qualified for… and I found it! Learn what it takes to get there. If you decide that you’re interested in a specialized field, then learn what it takes to get a job in that field. Is it all about who you know? Then join some associations and network like crazy. If it’s about your educational background, then go back to school and learn all you can about that specialty. If it takes accepting a lower-paying short term internship to gain more experience with a well-known company… then do that. But learn what it will take and make it happen. Make yourself as marketable as possible. Some of the positions I was applying for listed qualifications that I didn’t possess. I wasn’t familiar with the Adobe Creative Suite or AP Style. If you’re seeing anything come up multiple times on job postings in your field, and you don’t know what it is or how to use it… it’s time to learn. It turns out that although I never learned to write in AP Style or create graphics using InDesign or Illustrator, both are key to the creative side of marketing and I use both nearly every day! What challenges are you facing professionally? What support would be helpful? The greatest struggles I have found in pursuing a job following graduation is the economy. It is out of our control whether companies have a freeze on hiring or are laying off employees, so many graduates must be willing to move to where the jobs are. However, moving is expensive and a lot of companies are not willing to assist with moving expenses for entry-level positions. Scholarships or savings accounts should be developed to assist young professionals in starting their career. Whether it covers moving expenses, purchasing necessary programs like Microsoft Office or the Adobe Creative Suite or just a nice suit for interviewing… a little bit goes a long way when you are a new graduate. How has your EMU degree influenced your career (decisions)? At EMU, I was confident that I wanted a career in Marketing and so I was fortunate that with focus I was able to graduate in three years. The structure of the program allowed me to progress at my own pace, complete meaningful internships along the way and build a diverse portfolio that provided me with competitive advantage in job search. GOLD Professional Profiles offer graduates an opportunity to share a bit about themselves with our alumni community (the post is shared in the LinkedIn Alumni Association group), offer career advice and provide feedback to us about what form of career programming would be helpful. It’s quite simple… fill out the information above, answer the four questions and provide a picture to Dan Mathis at dmathis@emich.edu.